Corey Byers joined the University Public Affairs staff as the public relations specialist for VCU Police in March 2014. She handles media relations and social media management for the agency. Prior to joining VCU, she worked as a public relations specialist at Northern Virginia Community College in Annandale and as the public information officer for the Culpeper County Sheriff’s Office. Before entering the field of public relations, she worked as a reporter at The Free Lance-Star newspaper in Fredericksburg, Virginia, where she covered local government and education in the greater Fredericksburg area. Byers earned a master’s degree in multimedia journalism from VCU in 2010. 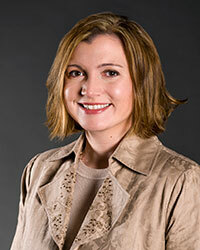 She holds a bachelor’s degree in political science from the University of Mary Washington.